Crisis and Identity: Representations of Nation and Home in Hong Kong Cultural Imaginary. Ph.D. Thesis. Chinese University of Hong Kong, 1998. “The City that Haunts: The Uncanny in Fruit Chan’s Made in Hong Kong”, in Esther M.K. 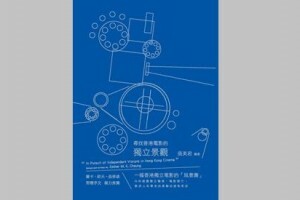 Cheung, Chu Yiu-Wai (eds.) 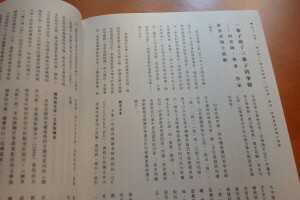 Between Home and World: A Reader in Hong Kong Cinema. Hong Kong: Oxford University Press, 2004. “On Spectral Mutation: The Ghostly City in The Secret, Rouge and Little Cheung”, in Kam Louie (Ed. ), Hong Kong Culture: Word and Image. Hong Kong University Press, 2010. “The Urban Maze: Crisis and Topography in Hong Kong Cinema”, in Esther M.K. Cheung, Gina Marchetti and Esther C.M. Yau (Eds.) A Companion to Hong Kong Cinema. Malden: Wiley-Blackwell, 2015. “Do We Hear the City? : Voices of the Stranger in Hong Kong Cinema”, in Esther M.K. Cheung, Gina Marchetti and Tan See-Kam (Eds.) Hong Kong Screenscapes: From the New Wave to the Digital Frontier. Hong Kong University Press, 2011.